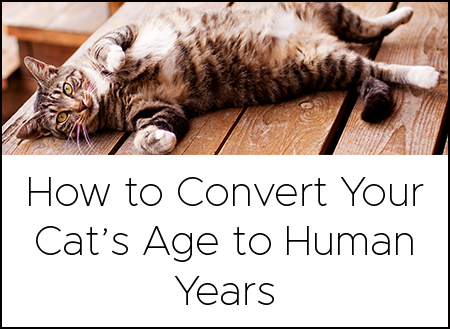 For those of us who have both pet cats and dogs (that’s a whopping 54.6 million people in the U.S.), it can be an ongoing struggle to keep the dog out of the cat litter box. Fortunately, there are many solutions out there, but the trick is to stay consistent. If you’re one of the many people having this problem, try one of these five ways to dog-proof the cat litter box. Cats can slip into places dogs can’t, and they jump over high barriers with ease. To dog-proof the cat litter box means starting as simple as cutting off access to the area or room where you keep the litter box. Put a baby gate around the litter box. Even better, choose a baby gate with a built-in pet door. 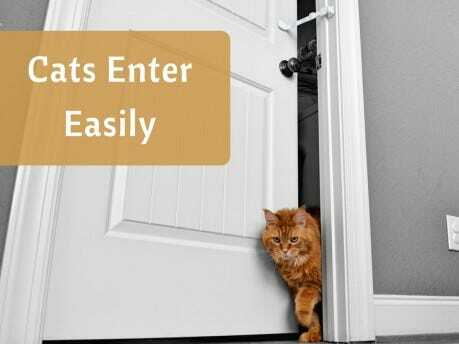 Install a door latch (or a door chain) that lets the door open just enough for your cat to enter, but not your dog (or toddlers for that matter). 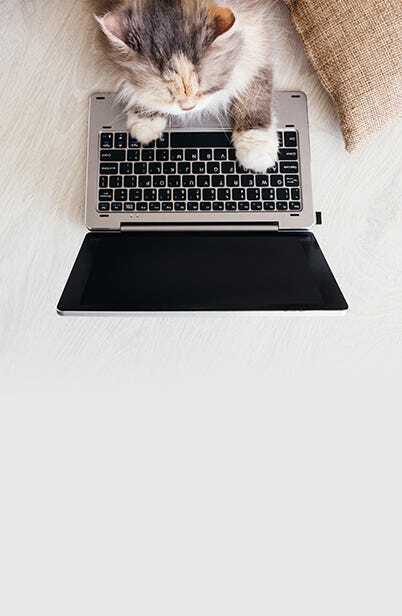 It may take your cats some getting used to, but once they realize the dog won’t invade their litter box, they’ll confidently adopt a new litter box. Switch to a covered litter box instead of the traditional open litter box tray or pan. Or, select one with an indirect or top entryway, so that kitty can enter, but doggy cannot. 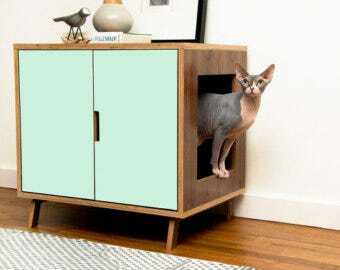 Place the litter box in a cabinet or other piece of furniture, so that oh-so-enticing scent (ew) of the kitty waste is contained and dog entry is restricted. Try to get rid of the waste as soon as it happens. The most direct way to dog-proof the cat litter box is to remove the temptation, and that means scooping as often as your cats go. If you feed your cats at the same times each day, chances are they use the litter box at predictable times. Get to know your cats’ patterns and try to remove waste as soon as you can. 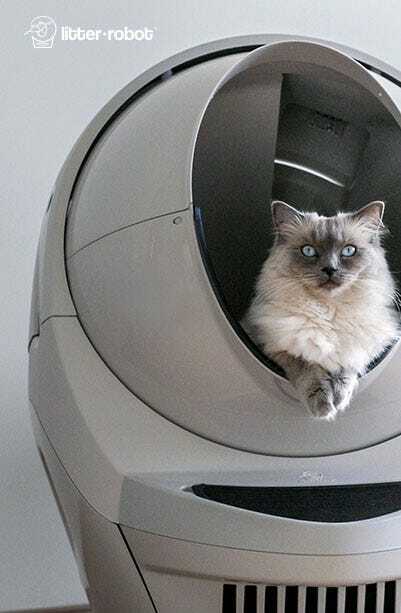 If scooping within minutes of your cat using the litter box seems too demanding, opt for an automatic self-cleaning litter box that does the work for you. These litter boxes sense when the cat has used the litter box and sift the waste within minutes, so it’s unavailable to the dog. Instead of modifying your home or schedule, break your dog’s habit of seeking “treats” from the litter box with training (and getting real treats from you instead). Train your dog to leave the litter box alone! Allow the dog access to the litter box (that is, don’t barricade it), and be present. When you see your dog go for the litter box, give the “leave it” command. Have your dog come to you and be ready with a treat. 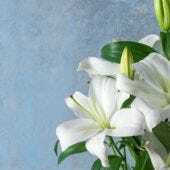 Offer praise, then relax and wait for your dog to think about the litter box again. Each time your dog goes for the litter box, give the leave it command and offer a treat. Be consistent and praise your pet generously. When you are not around, it may be a good idea to barricade the litter box and work up to leaving it out in the open. This strategy isn’t just about removing the temptation; it’s trying to permanently eliminate it. 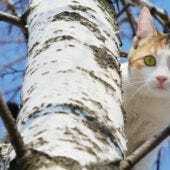 There are supplements you can add to your cat’s food to make the poop less desirable to your dog, but that only works if your cat is amenable to a diet change. To make the waste less appetizing to your dog, try spraying a chewing deterrent spray like bitter apple or apple cider vinegar on the clumps. When your dog goes for a “treat,” it will taste awful, and teach your dog that those clumps just aren’t that tasty. Depending on the size of your dog (and number of them), different strategies or combinations will work best for your furry family. Whatever strategy you choose, stay consistent and stay positive. Most things fail when we stop trying, not because they won’t work. 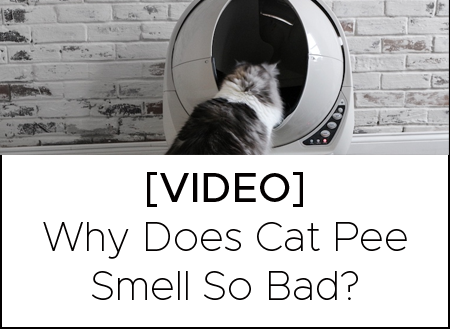 After all, giving your cat a more private place to go (where the dog doesn’t trespass) is also a good way to ensure healthy litter box habits. Bonus: you can stop avoiding those eager dog kisses. Next Post Why is my cat sleeping in the litter box?